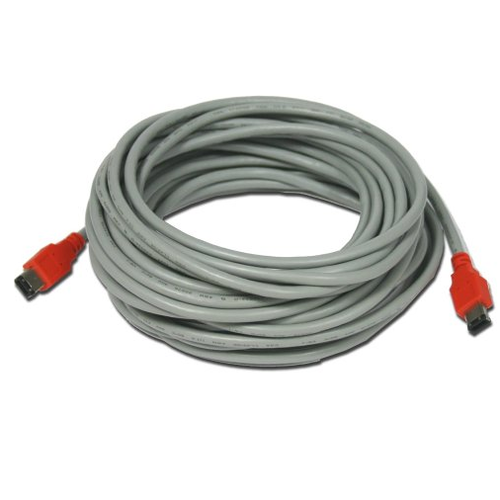 Unibrain produces reliable FireWire800 (1394b) cables, offering cutting-edge design while using the most advanced manufacturing processes. Exceeding the 4.5-meter cable length! Up to 800 Mbps high-speed data transmission. The Active – “Smart” Firewire-800™ cables can extend your firewire topology to distances up to 40 meters (130 ft) without the use of repeaters or Bus extenders, via a single, thin 75 Ohm coaxial type cable. Available lengths are at 20 and 40 meters. Custom length options are possible on an OEM/volume request basis. Up to 800 Mbps full-duplex bidirectional high-speed data transmission. Thin, flexible cable type. OD: 4 mm (vs 7-8 mm of regular Firewire-800 cables). Firewire-800, standard 9 pin port screw lock compatible connector. Menzel Vision & Robotics, is a one point source for not only world-class complete Imaging Solutions but also for separate components to integrate a solution. We offer proven solutions for Image Monitoring, Processing and Analysis needs like Automatic Machine Vision Systems, Robotic Machine Vision Software, Inspection Machine Vision Systems, Open Source Machine Vision Software, etc. We also export Research Microscopes, Image Analysis Systems, Zoom Lenses and Telescopes. Our products like Automatic Machine Vision Systems, Robotic Machine Vision Software, Inspection Machine Vision Systems, Open Source Machine Vision Software are widely used in areas like forensics aerial surveillance, medical imaging, particle sizing and counting, object recognition, pharmaceutical research etc.